We also have an Exclusive Interview with Socks! 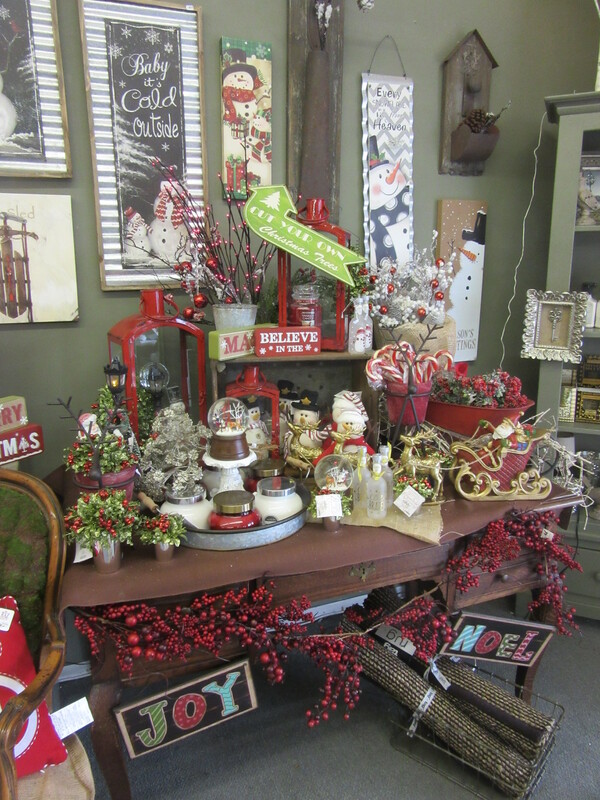 Pam Melville, David’s owner, describes it as a specialty department store that carries everything from gifts, bath & body products, home decor, gourmet foods, and kitchenwares to party goods, women’s wear, and accessories. David’s began as a radio shop in 1922 and was originally located in the short-lived Johnson Hotel (now the home of Uncle Harry’s). After the fire of 1929, the store moved to its current location. In the 1950s, the store was known as Davidian’s and began selling sporting goods. 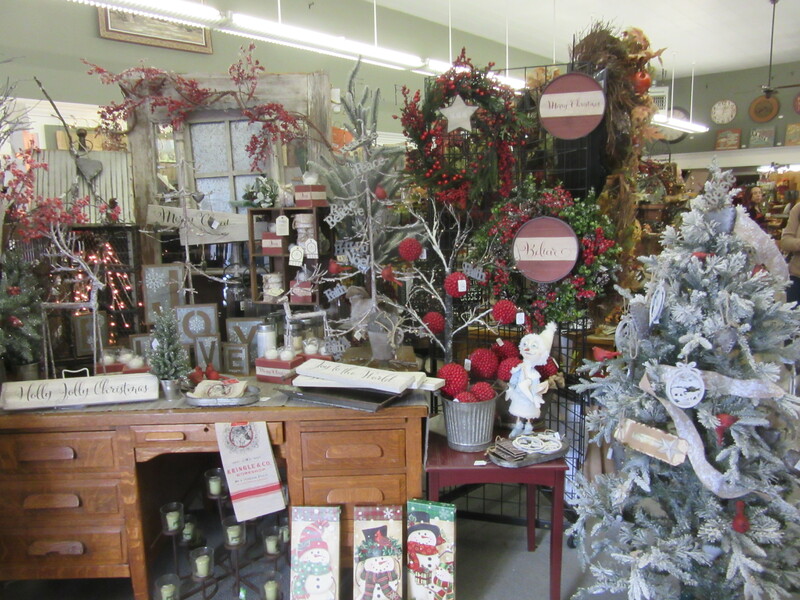 About this time, they also opened a section of the store for gift wares, which took over and eventually became the store it is today. In addition to the all the goodies the store has to offer, David’s also has SOCKS, the resident store cat. I was really lucky that Socks could take some time away from the customers on Small Business Saturday to answer a few questions. KRL: So Socks, can you tell us a little about your purrsonal background and how you came to work at David’s? Socks: It was Christmastime and I was happily eating out of a garbage can when this woman snatched me up and dragged me into David’s. She asked if anyone had work for me so I could eat better. Pam said she had some work for me to do if I was willing to dust. Feeling the wonderful ambience, I figured I’d agree. Guess what, I’ve never left! 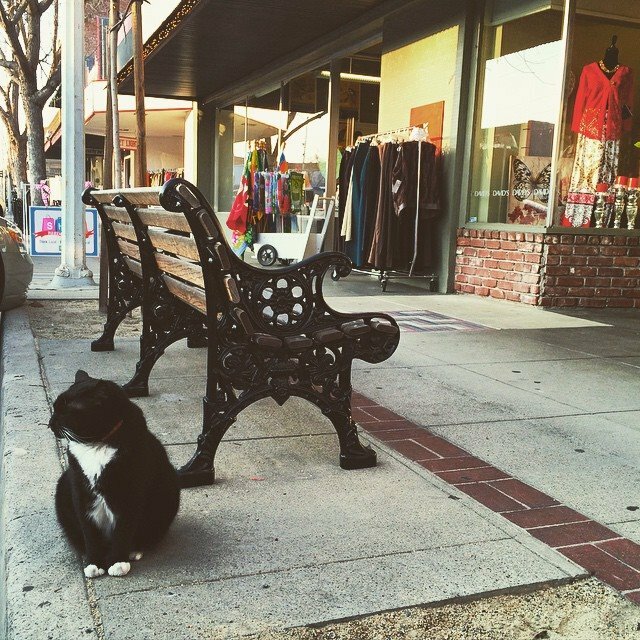 KRL: We think that you might be the first shop cat working in downtown Reedley. There are a few others around, at Ace Hardware for example. Have there been any other shop cats in downtown Reedley? 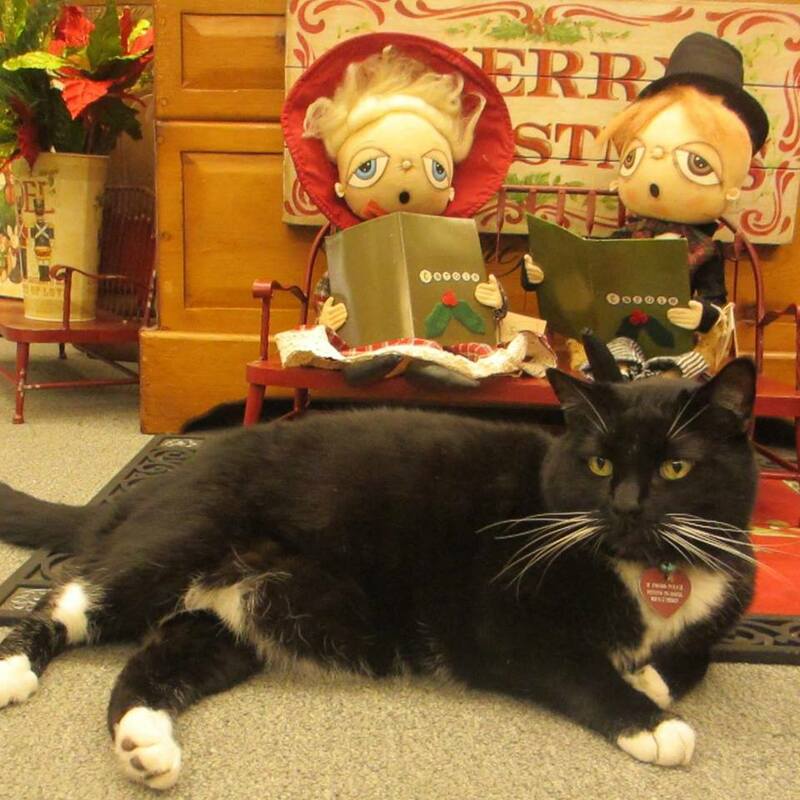 Socks: I don’t know if I’m the first, but I’m the best working (or non-working) cat in downtown Reedley. Terry, at Garnishes, had five cats, but none were as good as me! 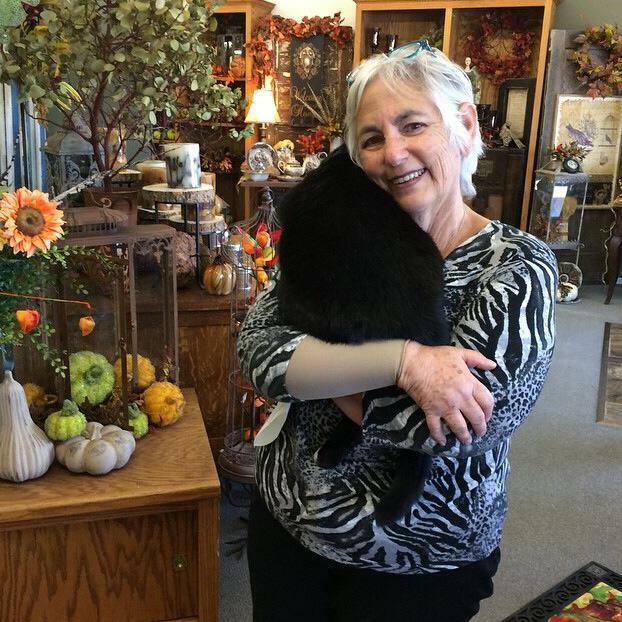 KRL: What exactly is your official title and duties as shop cat? Socks: My official title is “Greeter!” My duties include sleeping and eating, and sometimes in the four hours that I’m awake during the day, greeting the customers. KRL: Are you ever required to “dress” up? Is this something you enjoy? Socks: For special photo ops, I have dressed up in protest. Otherwise, I just change my collar. I enjoy sleeping and eating and getting pets. KRL: Please share a little about how you spend a typical day at work. Socks: I spend my day eating, sleeping, and stalking customers for pets. KRL: David’s is known as a great supporter of local charities. Tell us a little about some of the events the store sponsors and if you attend? Do you have a favorite? Socks: The events we do in the store are Bunco and Color for the Cure. My favorite is the one that brings the best food. KRL: What are the “hot” items to buy this Christmas and what are your purrsonal recommendations? Socks: My personal favorites are those that will get me pets. My favorites are the “Believe” and “Jingle” pillows, but really anything that will get me pets. 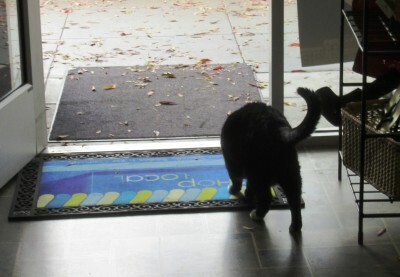 KRL: So obviously, you allow customers to “pet the cat.” Where are visitors most likely to find you during shop hours? Socks: I LOVE being petted. I can be found very quickly when you’re offering such a treat! KRL: Where is your favorite napping spot? Socks: My favorite napping spot is the whole store; especially the front window in the sun. KRL: Are you ever allowed on the displays? Socks: Of course I’m allowed on the displays. Don’t you know I do the displays, with the help of Sue and Penny. KRL: Are you ever allowed OUT? If so, have you ever visited other stores? Socks: I’m an indoor/outdoor cat. I visit any store I want to, but David’s is my favorite. KRL: Anything else you would like to share or like our readers to know? Socks: Wishing everyone a merry Christmas, happy holiday, and happy New Year! I hope you get all the catnip toys you want. And with that final word, Socks was back to work–actually, he sauntered outside to sit in the sun for a while—and I finished up my shopping. So, if you are looking for something out of the ordinary, visit David’s in downtown Reedley. It is a place where “fun, friends, laughter are always welcome” and you can pet the cat. Check out David’s Facebook page, and Socks has his own profile-SockSite Reedley.